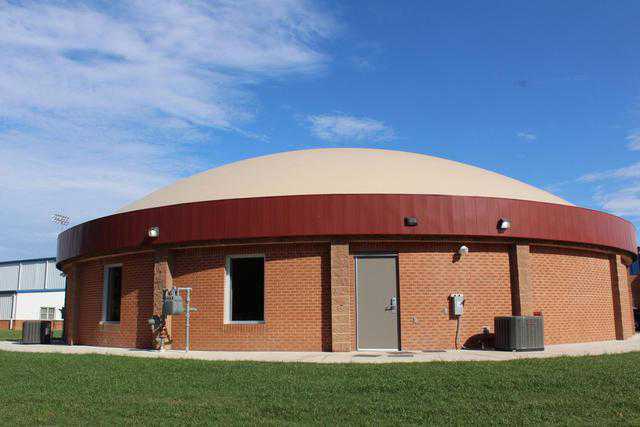 North Ward Elementary School in Hartshorne, Oklahoma recently celebrated the opening a Monolithic Dome on its campus. A ribbon cutting ceremony was held on Tuesday, September 26, 2017. 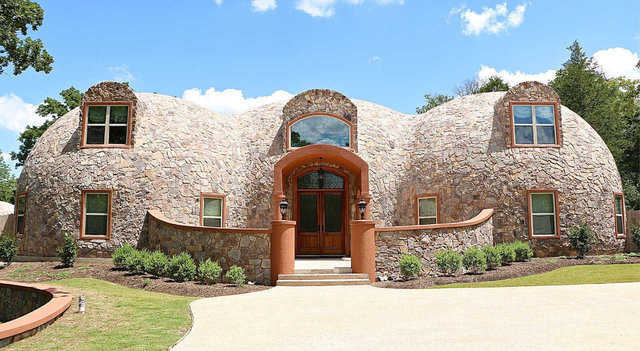 A recently completed Monolithic Dome home shielded a family from a hurricane and came away unscathed. That’s the strength of a Monolithic Dome. The recently completed dome addition will be shown to the public for the first time. The Fall 2017 Dome Builders Workshop was a success thanks to the attendees who came. 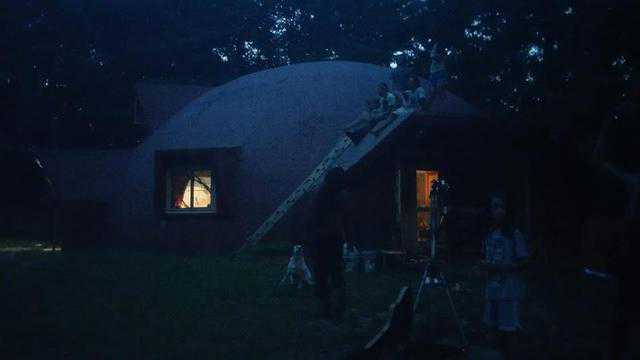 After the large storm hit, many residents took shelter in Monolithic Domes, FEMA approved shelters. 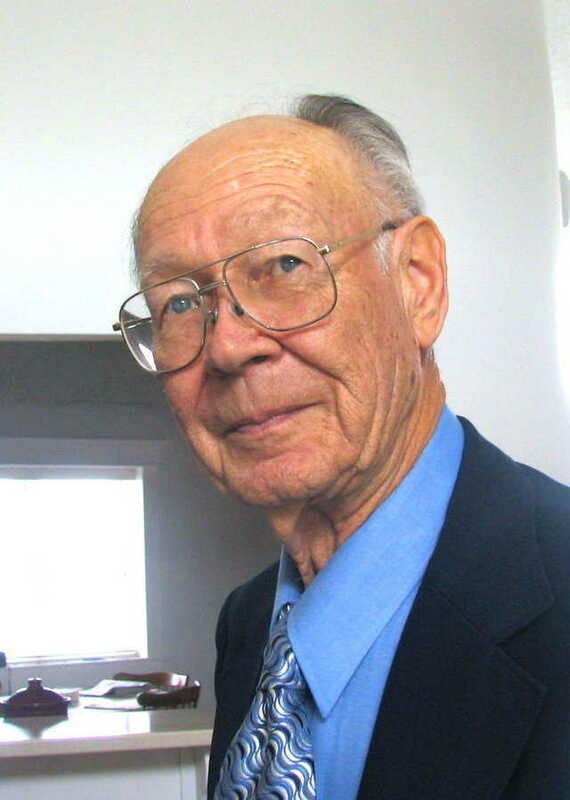 We honor Jack Christiansen, a concrete thin-shell pioneering giant, and we extend our deepest condolences to the Christiansen family. Preparations are being made for attendees to the Fall Dome Builders Workshop. Many people experienced the solar eclipse that recently passed through the United States. A few were able to experience at a Monolithic Dome, which passed right over a dome in Georgia. 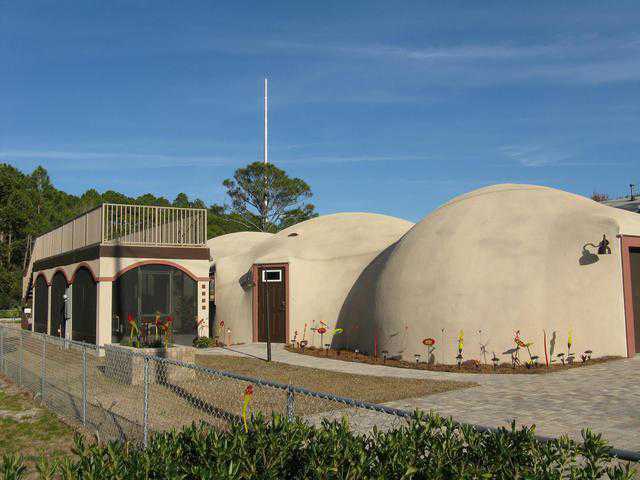 One hurricane was all it took for one couple to seek out a storm-resistant structure, which led them to Monolithic Domes. 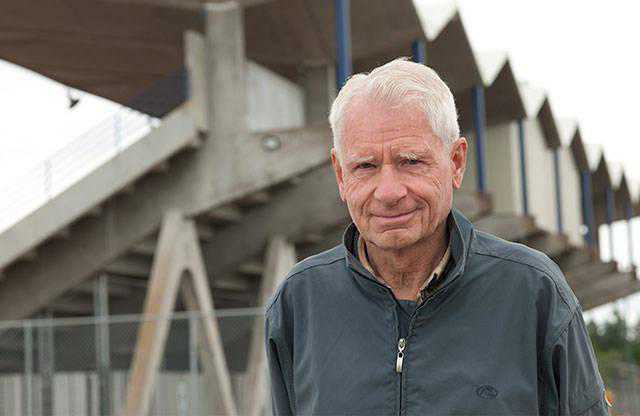 The late architect Jonathan Zimmerman was known for passion for his craft and a sense of humor. 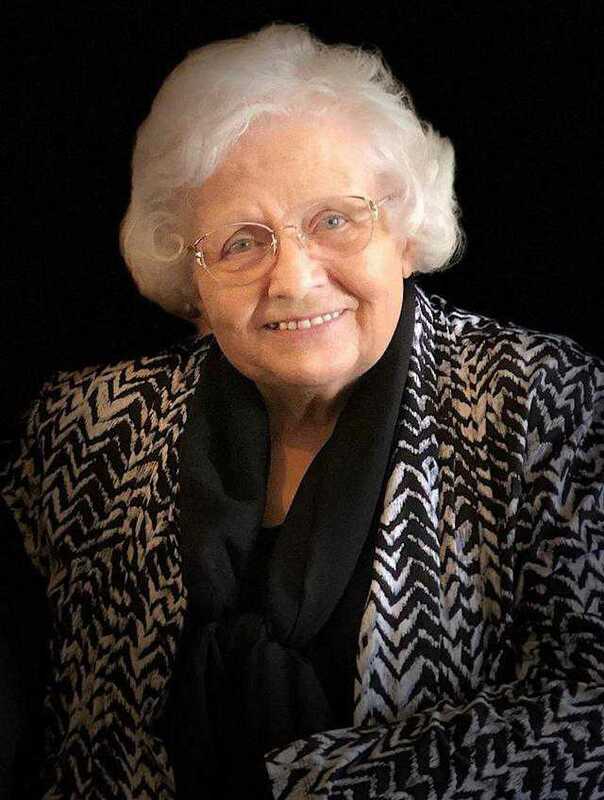 His friends and family paint a picture of who he was and what he did. 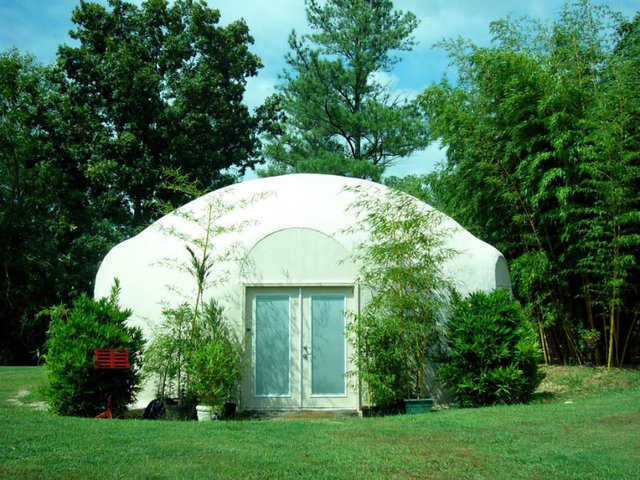 For those wanting the experience of living sustainably in a dome, one in Georgia has just the offer. 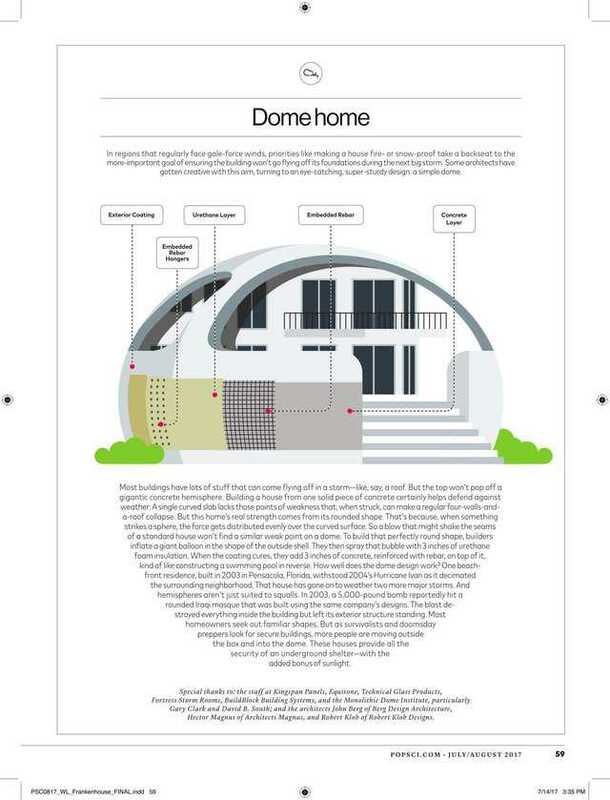 Monolithic Dome homes were featured in a recent issue of Popular Science magazine. 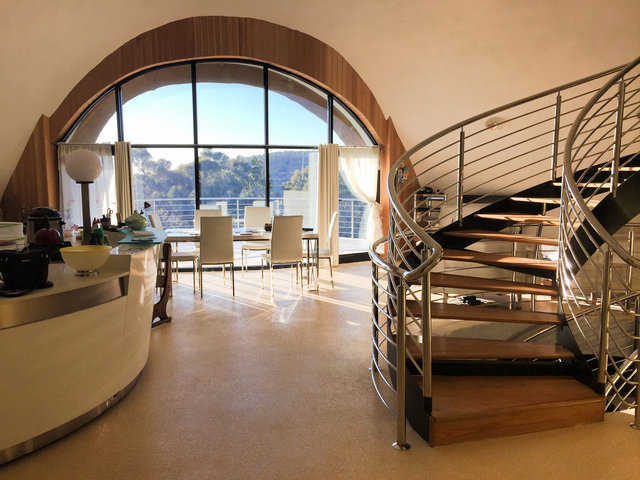 After years of dreaming and planning, a Monolithic Dome home in Australia has been completed. 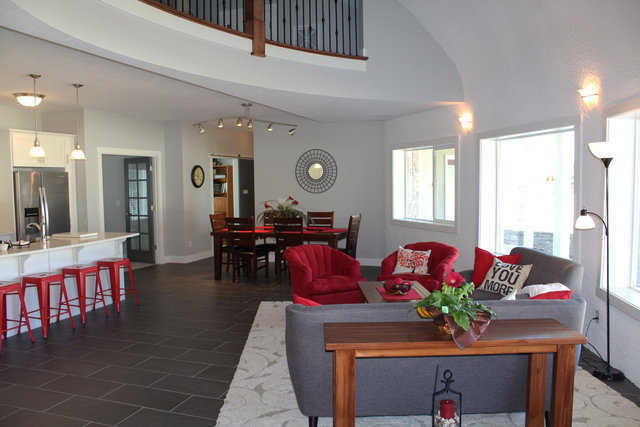 The interior was recently finished, creating an amazing space for the homeowners. Once a certified roadside attraction. The life of an iconic structure, now gone. 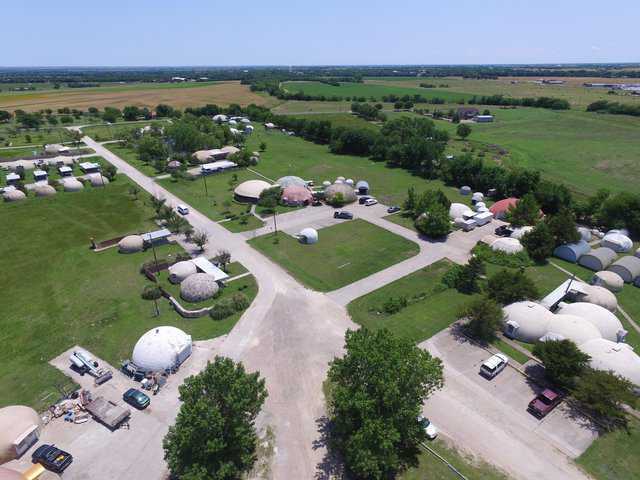 In a new feature story in the Daily Mail, four dome homeowners from across the United States share their story about how they came to live in a Monolithic Dome. 20 years of dreaming has finally taken shape for one family. Monolithic Domes have been used for many purposes around the world, but music studio might not be the first to come to mind. Known as the “Shire of Montana,” this unique Monolithic Dome home is the latest to come on the market. 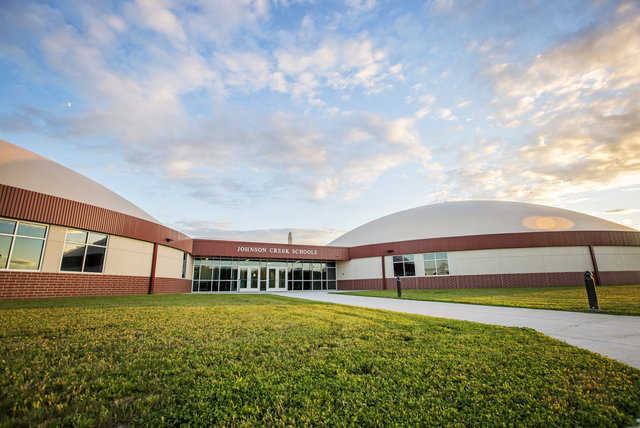 In search of “something different,” Monolithic Domes fit the bill for one school in Kansas. Monolithic headquarters in Italy, Texas is known for making Airforms and building Monolithic Domes. 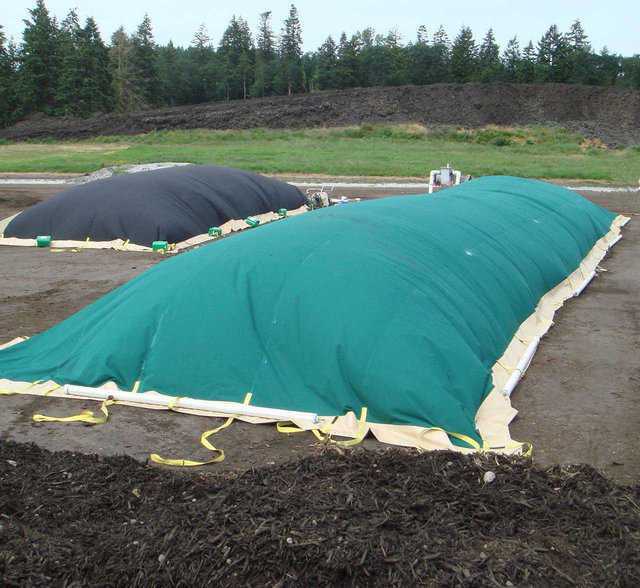 But for the last 10 years the company has also manufactured compost covers. 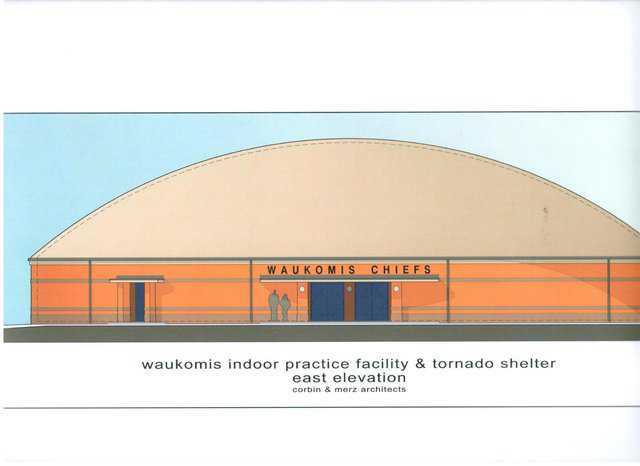 In the tornado-prone area of Tornado Alley, school districts and officials are building more and more Monolithic Dome storm shelters. 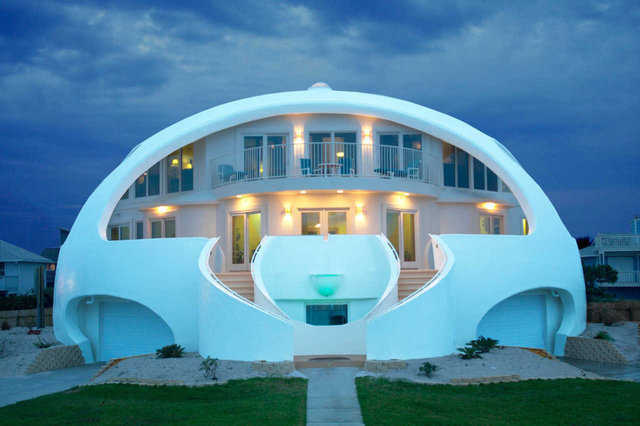 A recognizable Monolithic Dome home on the sunny shores of Florida’s Gulf Coast is currently for sale. 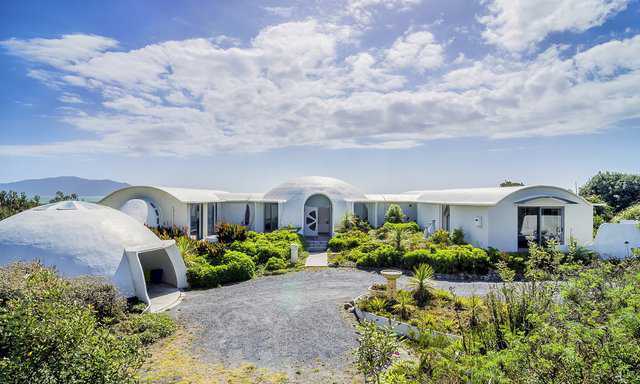 An amazing concrete-only dome has come up for sale in New Zealand. 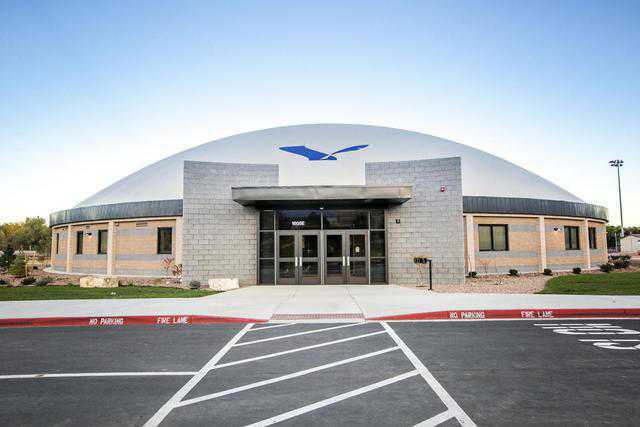 As superintendents and other school officials consider options for new buildings and ways to protect students, Monolithic Domes are known for being more efficient and cost-effective options. 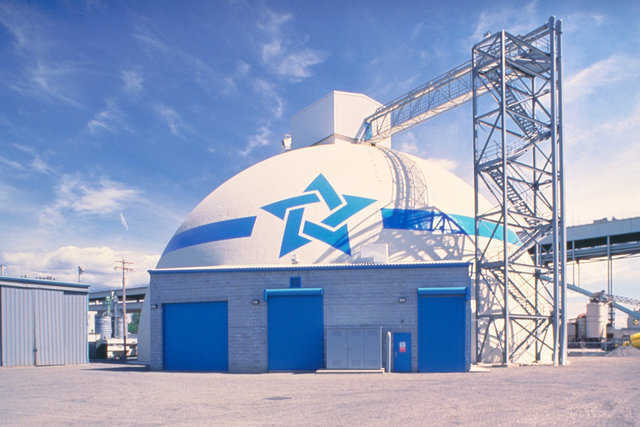 Bulk storage is one function that Monolithic Domes can provide. 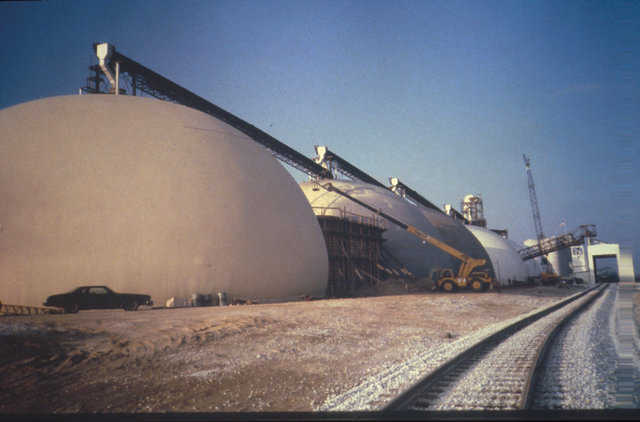 We look specifically at grain storage, and how Monolithic Domes efficiently store that commodity. Could a dome survive an explosion? 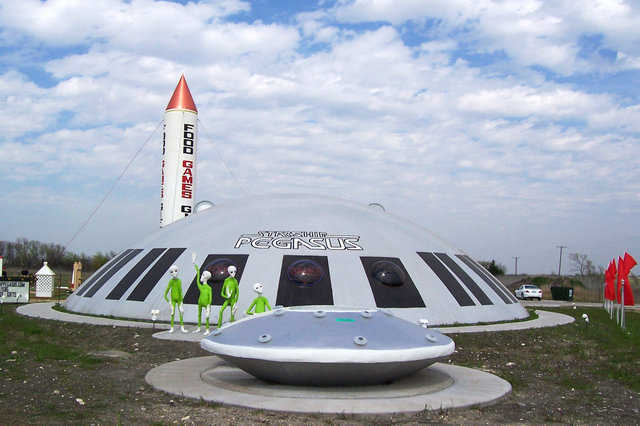 Monolithic Domes have been proven to withstand earthquakes, hurricanes, fires, and even gun shots. But what about an explosion? Thanks to a test by South Industries, we know the answer. For the second time in four months, storage domes are featured in an industry publication. Listen to David B. 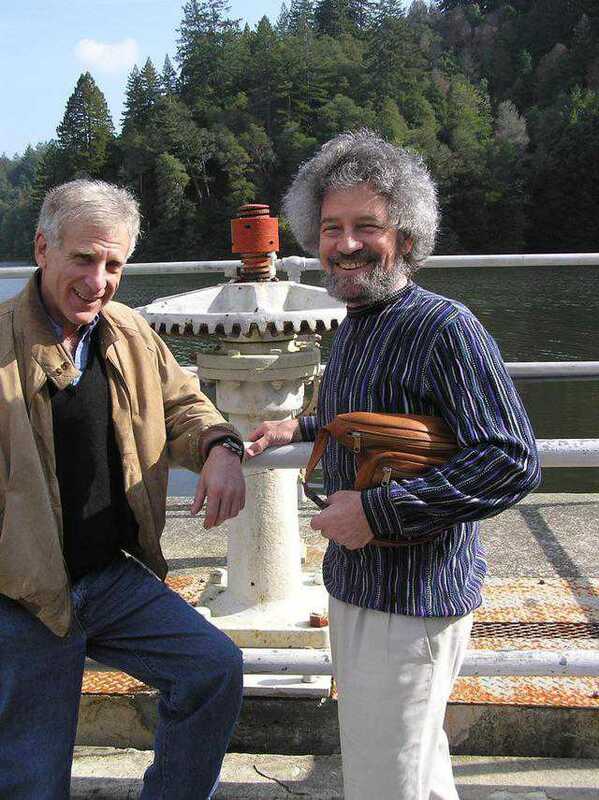 South, founder of the Monolithic Dome Institute, explain the disaster resistant quality of Monolithic Domes. 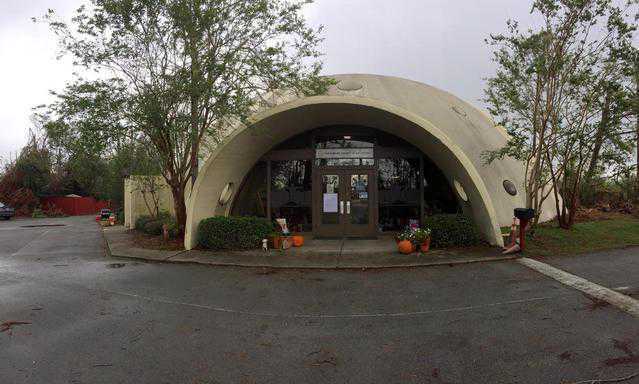 Monolithic Domes are starting to become more popular for schools as more districts build storm shelters. Some of the latest are in Mississippi. 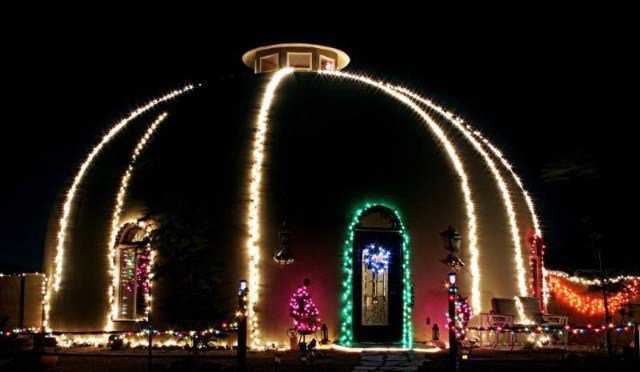 The Christmas season is already here, and we want to share some dressed up domes with you. Located in the heart of what is dubbed “Tornado Alley” sits Oklahoma. 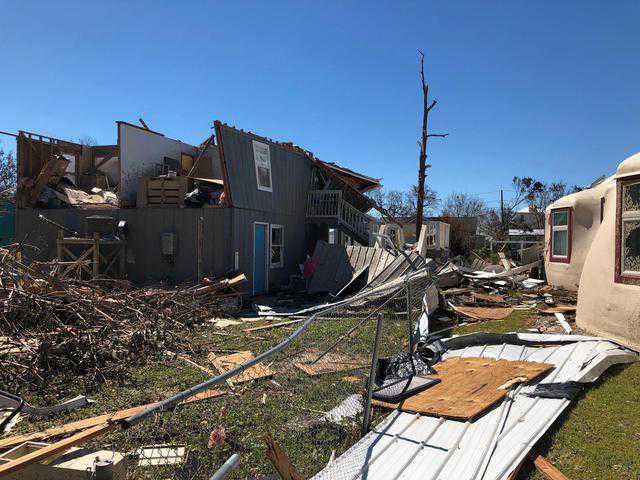 Since a recent tornado slammed through schools, districts are working to make schools safer for their students. One district is doing that with a Monolithic Dome. Monolithic Domes are built around the world. 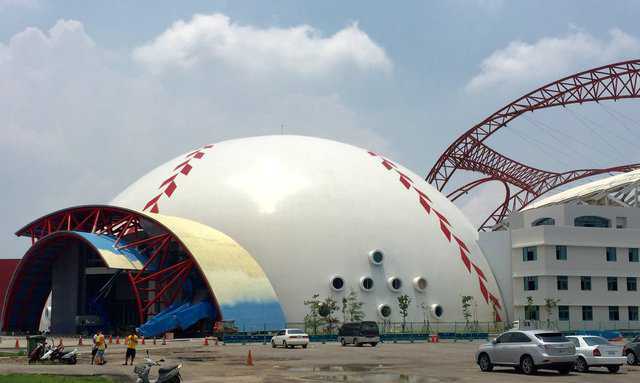 This dome serves as a sports facility in Taiwan, as part of a larger sports complex. Located in the ‘Ring of Fire,’ this structure serves its purpose well. Dry Cargo International, a dry cargo and storage industry publication, featured Monolithic Domes in its November 2016 issue. 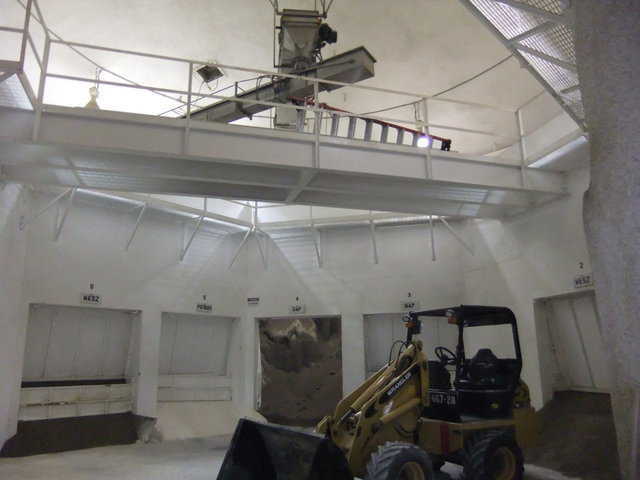 The article featured Monolithic Dome cement storage and touted their efficient storage capabilities. 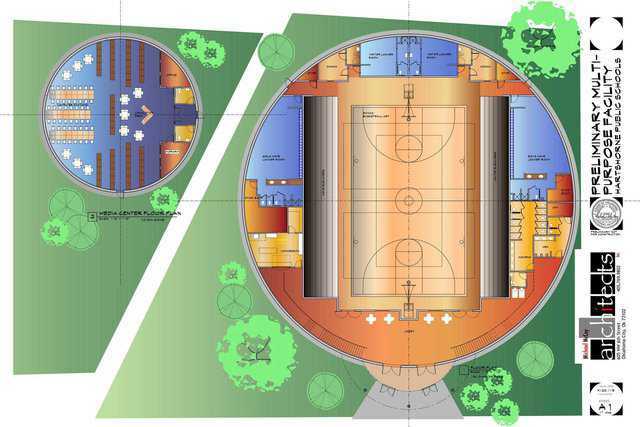 The Vanguard School in Colorado Springs, CO is adding a Monolithic Dome to its campus. The building will serve as the junior high for the charter school and will house seventh- and eighth-graders. Monolithic Domes, just like any other building, need upkeep to stay in good condition. 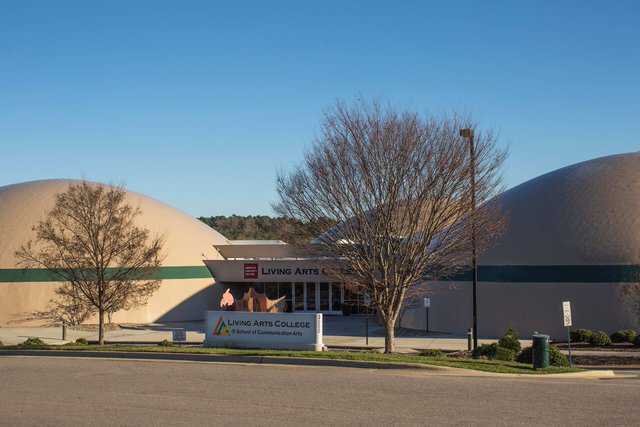 One school in North Carolina got an update. 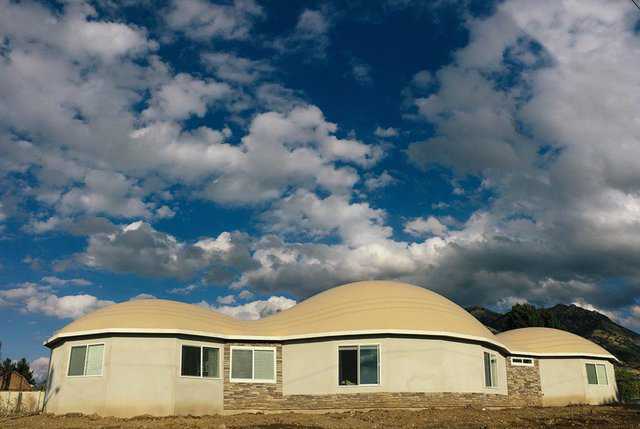 The Arcadia Monolithic Dome home in Providence, Utah was recently completed and the owners were able to move in. We offer a look inside the completed home. Thank you to all who came to the open house on Saturday, November 5th. We really can say that is was a success. 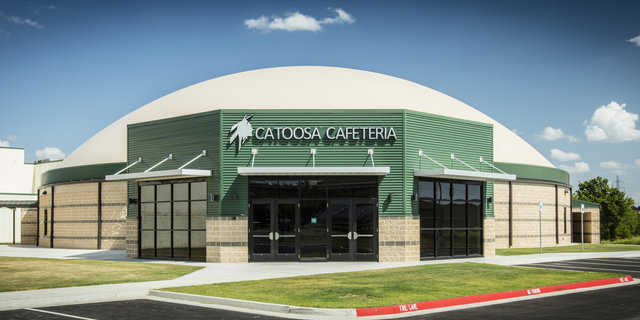 The Catoosa Cafeteria Monolithic Dome held an open house this week. The ceremony publically celebrated the opening of the domed addition to the school. Gettysburg, Pennsylvania is known as a historic site. 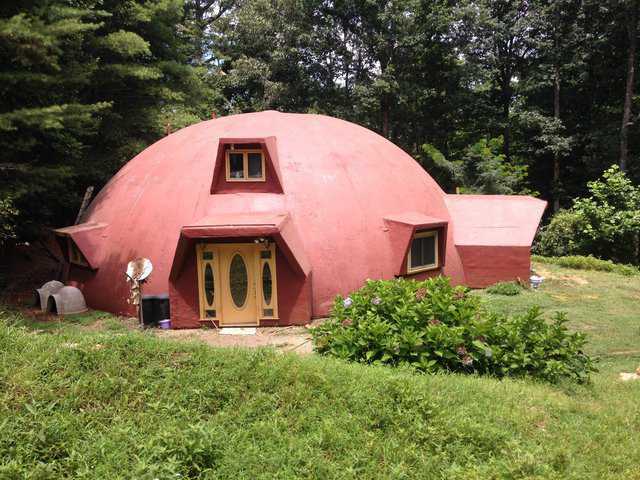 But this town is home to another historic site, the first residential Ecoshell concrete dome built in the state. 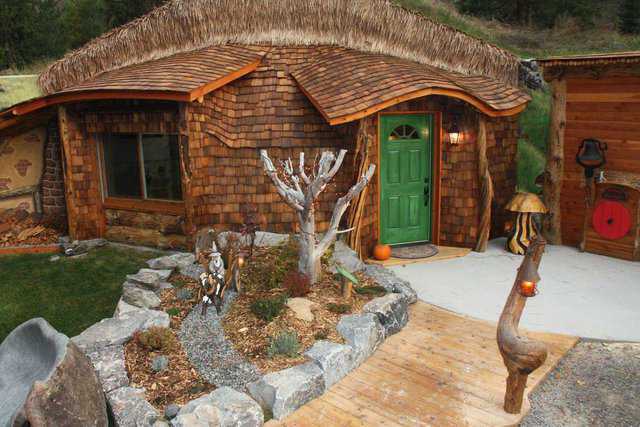 Living off the grid is a dream for some, but for one Canadian couple it’s a reality. 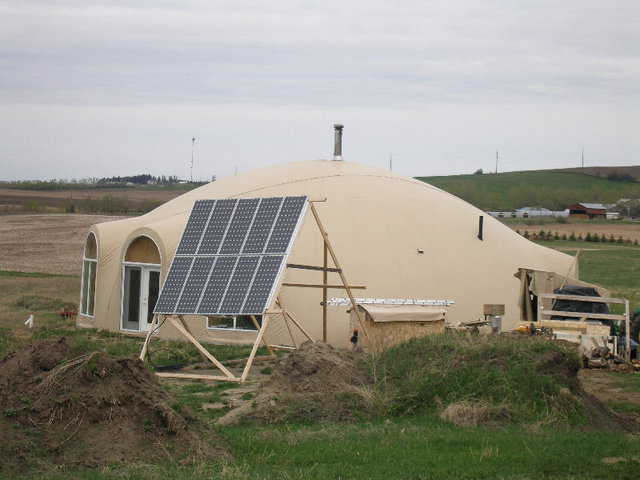 Thanks to a Monolithic Dome, they have been living a sustainable life for a decade. AIA Dallas featured the Monolithic Dome Institute in the latest issue of Columns magazine. This one page highlight focused on Bruco the caterpillar, Monolithic’s history, and the resilience of domes. 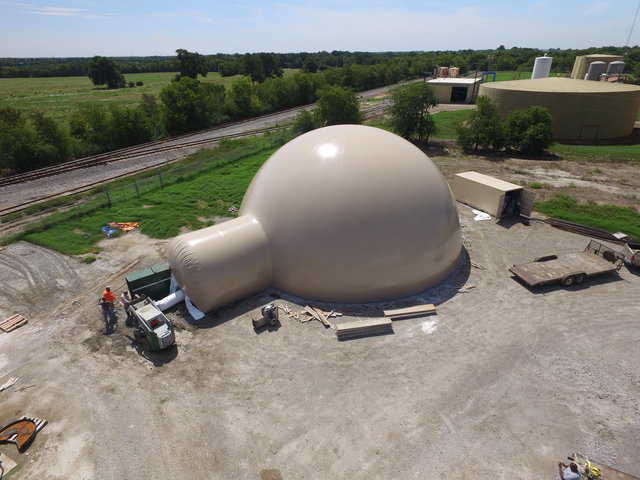 A new 29-foot-tall Monolithic Dome has been erected in Whitewright, Texas to provide storage for ammonium nitrate. The dome is located at the EDC Ag Products Company LLC (EDC Ag) facility and will give storage for 1,000 tons of the chemical. The construction of the 58-foot diameter dome was a cooperative effort among the community and EDC Ag. A new Monolithic Dome now stands on the school grounds where a tornado came tearing through 23 years ago. Catoosa, Oklahoma, a suburb of Tulsa, was the site of a F4 storm in 1993 that killed seven people and injured many more. Thanks to a new Monolithic Dome, people at the school can now feel safe from another such storm. The public is invited to the complex of the Monolithic Dome Institute on Saturday October 15th for an open house. 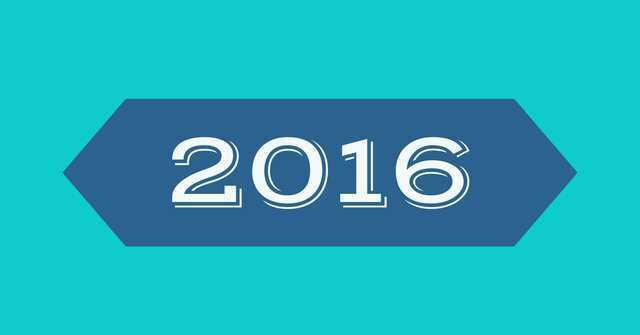 This annual event is free and open to the public. The Institute is located at 177 Dome Park Place, Italy, Texas 76651, and the event will last from 10 am until 4 pm. The Roundhouse Down Under — A First! Anthony (Tony) Clarke is one busy Aussie. 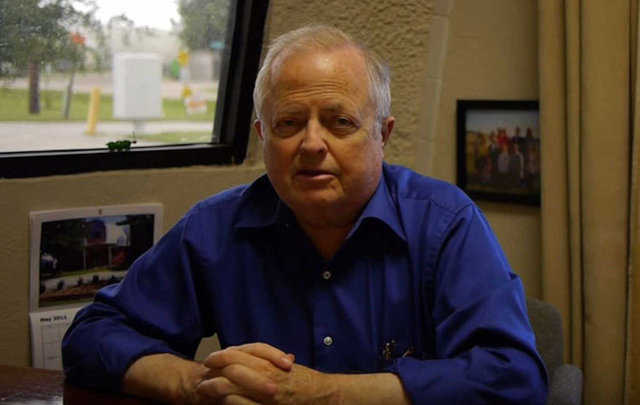 He runs a migration office that helps immigrants to his country with their necessary, complex paperwork, is involved with industrial hemp, markets music videos and DVDs and serves his community as Justice of the Peace and a Knight of the Order of St. John Hospitalier. 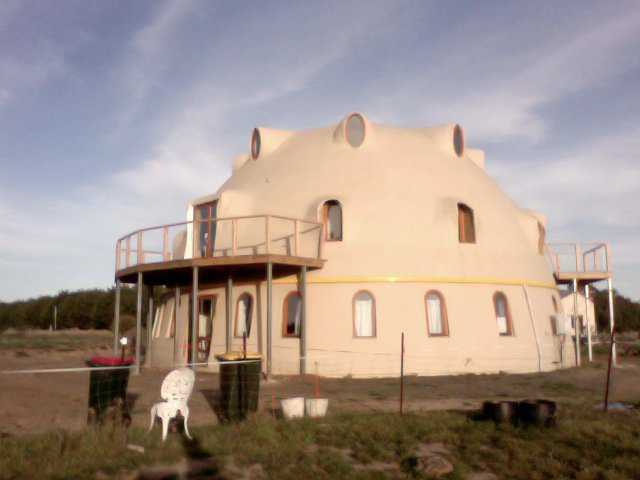 Nevertheless in April 2001, he found the time to travel to Italy, Texas and take one of Monolithic’s dome-building Workshops.